Your relationship with the world is like a reflection in a mirror. Everything and all your life experience is a reflection of your relationship with this worlds belief systems. Like the saying goes, As you believe in your heart (imagination) so shall it be done unto you. Your Imagination reflects your imagined reality back to you like a mirror. Belief is everything. The belief of your mind is the thought of your mind, it is that simple and just that and nothing else. Thoughts are things and your thoughts create your images in your imagination. All your experience flow from all the images you play out or experience in your imagination. Imagination is real and Imagination is reality. You Are But A Reflection Of Your Imagination. Imagining Creates Reality and you are all Imagination! 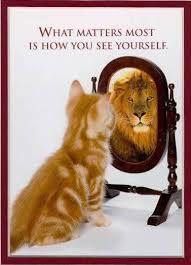 Your Imagination is like a mirror and your reality is a reflection in the mirror. As a man thinketh in his heart so is he. The Bible says according to your faith it is done unto you, Always live by faith and not by sight. Faith is a way of thinking an attitude of mind. Faith is the substance that brings your heart desires in reality. For it is impossible to serve God or please God without faith. The power of faith is what drives your imagination. Imagination is God within. The physical world is nothing but a shadow world. You have been living in a dream world. All your life experiences were created in your Imagination. You can shatter the illusion or shadow world in your mirror (Imagination) within by simply being yourself and imagining the best in everything. You are reality, you are all imagination you are the creative higher intelligence within. Know thy self. Didn’t the scriptures say you are Gods and you were created in the image God (imagination) The kingdom of God is within you and you are all imagination. Welcome to a new age. 2014 is already a prosperous year, Live in the end. Amazing revelations and blessings are being manifested into our lives right now. Thy will be done on earth as it is in heaven (Imagination) The kingdom of heaven is within. ← You Are A Mental Traveler!